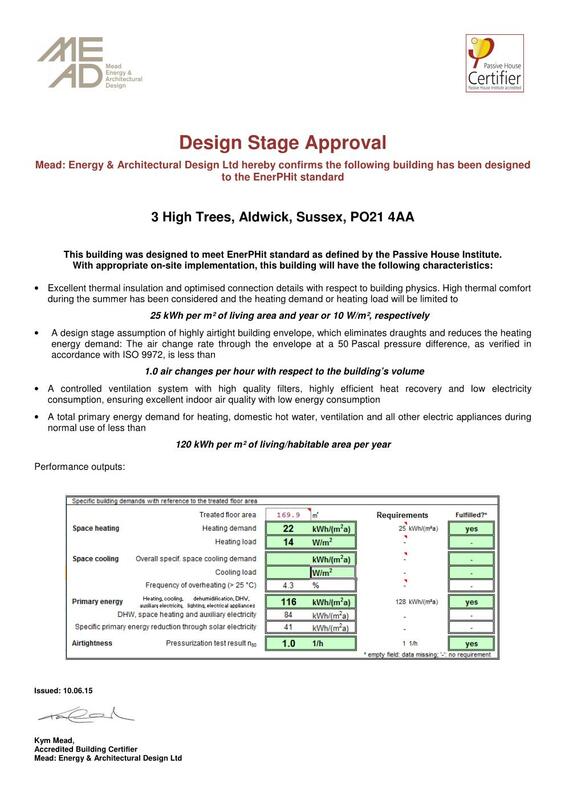 Design Stage Approval has been issued by the UK Passivhaus Certifier Kyn Mead . This means that all the plans and details have been inputted into PHPP and submitted for formal approval. The certifiers are satisfied that if the house is built as designed, then subject to Passivhaus Institute approval and the right evidence being supplied, the house will be certified as an EnerPHit Passivhaus. Based on the current design the whole house is designed to use 22 kWh/m2 for space heating and has an overall Primary energy use of 116 kWh/m2. Ken was keen to use electricity for the heating and hot water, which would be supplemented by a PV array on the roof. Achieving the primary energy targets with an all electric solution for EnerPHit is a challenge, and this was achieved by supplementing the electric storage heaters with a small air source heat pump to provide both heating and hot water. The Passivhaus UK Buildings Database has been updated and is now a visual tool to see the expanse of Passivhaus in the UK. We hope this database will be a catalyst to promote Passivhaus. Creating buildings with a high level of occupant comfort while using very little energy for heating and cooling. 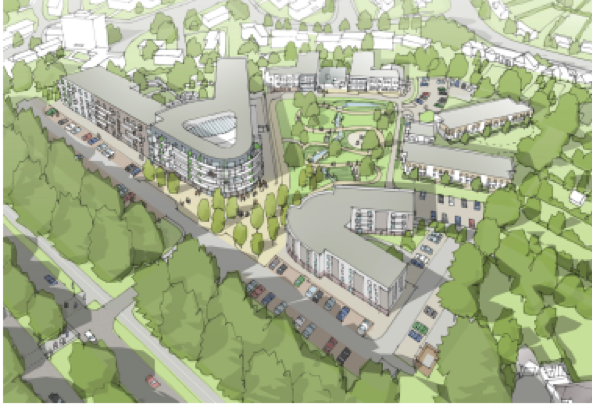 This piece of work, commissioned by the Bournville Village Trust is to support Passivhaus certification for the development of 35 new Extra Care apartments, of one and two bedrooms. Bournville has grown over the years from a small community of 300 houses, to about 8000 homes on 1000 acres. Extra Care appartments offer the benefits of traditional sheltered housing plus the personal care and support that you may need. The extra care apartments gives residents their own home with their own front door alongside access to staff 24 hours a day. The site is sloping in nature and has complex planning permissions as it is a heritage site. 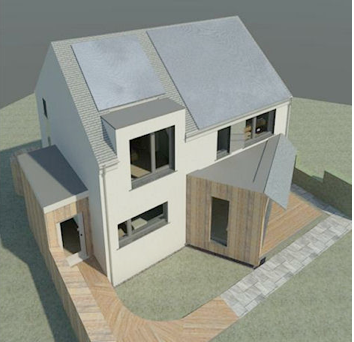 Greenbox Associates has been been working closely with the architects to make adjustments to their original designs to enable the project to gain Passivhaus certification while staying true to the architects vision for the site. The main issues to ensure that the project gains Passivhaus certification while staying true to the architects vision are choosing a ventilations system which meets both the energy and design requirements and commissioning a window system which fulfils both of these needs. 2. Making sure the ducting layouts are simple to reduce corners and duct lengths to minimise the pull on the fan. The courses attended by Architects, Builders, Engineers, Developers, Window Manufacturers and Self Builders, gives an introduction to Passivhaus standards and methods. Up-skillng Small and Medium Enterprises with low energy and sustainable building skills. This course is developed by Rachel Mitchel on behalf of Green Stripes, a low energy training consortium and is running in July, Sepetmber and December 2014. When setting out on a project it is a good idea for architects to ask clients if Passivhaus certification is something they would like to consider for their project. At Greenbox we are happy to run through the benefits to your clients with you or with them directly to see if they would like to consider it. By offering Passivhaus certification from the outset it prevents situations arising where the plans have been drawn, the design agreed on and then the client starts asking about Passivhaus certification. If Passivhaus is considered form the outset then a project can be designed around core Passivhaus requirements - saving everyone, time, money and headaches. 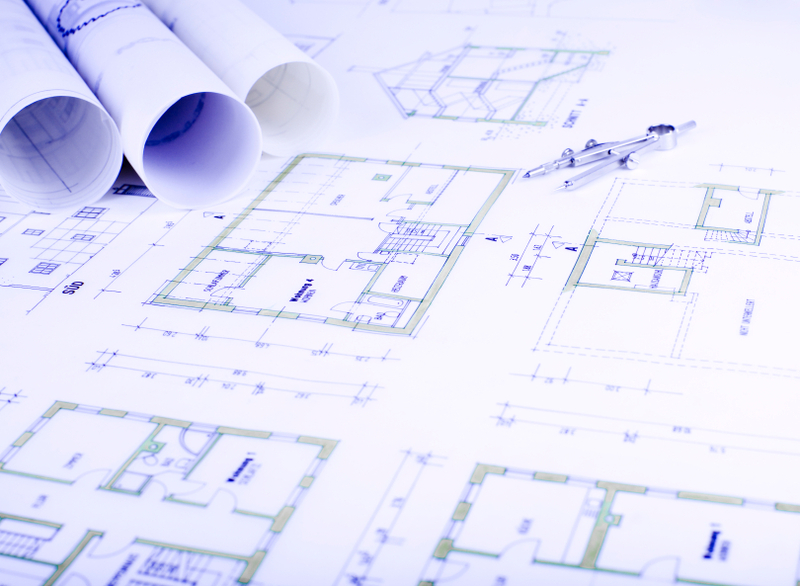 It is far more cost effective to define this requirement before plans are drawn up and leads to a smoother process for all involved. With Passivhaus becoming increasingly popular and widely talked about it really should be the first question we all ask new clients. If you'd like more information about Passivhaus certification please don't hesitate to get in touch. Our partners at the Zero Carbon Hub are proud to be sponsoring the 'Best Low and Carbon Initiative' category at this years Housebuilder Awards. Call for Entries is free and closes on the 25th April 2014. Don't miss out View all the categories available here. We've been busy working with Radian Housing on the development of the energy and sustainability strategy for the redevlopment of Quebec Barracks. Quebec Park will be the first part of the exciting Whitehill & Bordon Eco-town development. The new development of 100 zero carbon homes, will be built to the highest sustainable standards, making them easy and cheaper to run for their residents. Bordon Inclosure will provide woodland amenity space, avoiding impact on the local nature reserves. Stoneham Green won Low Energy Social Housing Project of the Year and Sustainable Smaller Social Housing Project of the Year at this years Sustainable Housing Awards. The two awards were presented to the team at the Hilton on Hyde Park. 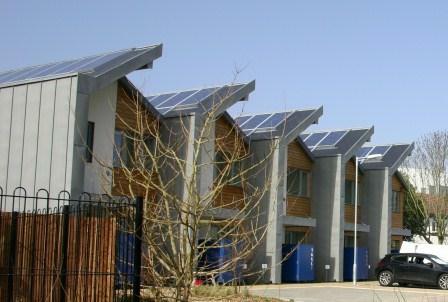 Greenbox associates provided design and energy advice and undertook the compliance work to show the scheme meet the Code for Sustainable Homes level 6. 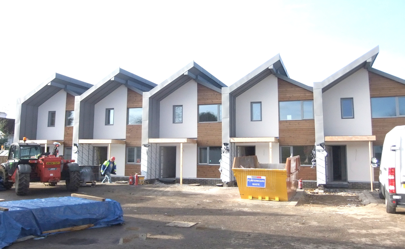 The groundbreaking Code 6 development at Stoneham Green has been shortlisted for 3 awards at the 2012 Sustainable Housing Awards. As the website says these awards celebrate those projects and organisations which are at the vanguard of housing sustainability best practice. 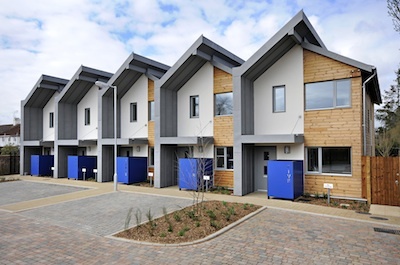 Stoneham Green has been nominated for Sustainable Smaller Housing Project of the Year, Low Energy Social Housing Project of the Year and Energy Saving Initiative of the Year. Rachel Mitchell of Green Box Associates, worked with the Passiv Collective on their award winning design for the Ravenscraig Innovation, Part sponsored by the BRE - developing the Code for Sustainable Homes strategy to achieve level 6, which complimented the Passivhaus design. "The Passiv Collective, presented an elegant and thoroughly coherent architectural solution to the challenges of this former steelworks site. Their team managed to respond convincingly to every aspect of the Ravenscraig brief and the judges were unanimous in their praise for the quality of their submission. A genuine commitment to the task of alleviating fuel poverty and addressing wider socio-economic issues was evident in the teams motivation. "Overall it was an inspiring competition to judge and a real testament to the growing strength of passivhaus in delivering robust solutions to low carbon building in the UK"
Robert McLeod, from Regeneration Partnership Ltd and competition judge. We are delighted to see all of our hard work and that of many others now coming to fruition and equally pleased to hear that all of the properties have been allocated. The scheme was a bold initiative aimed to demonstrate that it is quite feasible to build attractive, affordable and practical housing with minimum of impact on the environment. We are looking forward to being part of the post occupancy evaluation over the next two years, as it critical that new homes perform to the standards they were designed for. Let's hope it's the first of many such schemes in the region.